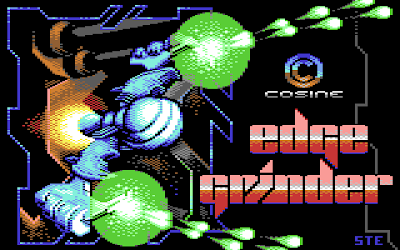 There's been a couple of cracked versions of Edge Grinder doing the rounds for a while, but it seems that Cosine have finally completed the disk version of their increasingly popular 16KB cartridge shmup. Head on over to the Format War collabortition page or Cosine's site to grab your copy, complete with a groovy new title screen by STE'86 and loading music by Sean/Odie. At the bargain price of free you'd be a fool to miss out on the action. But what's with this second screenshot? 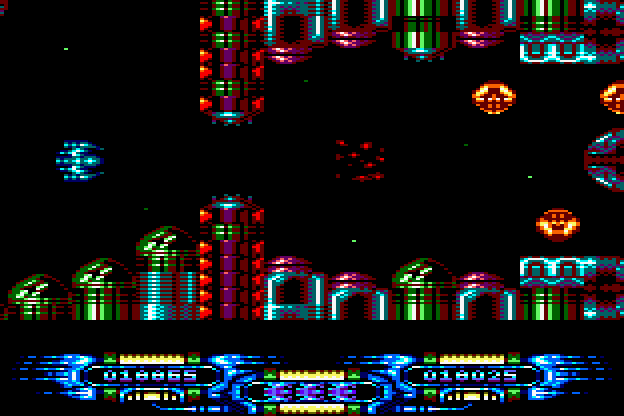 Well, CPC owners may be interested to note that there's an Edge Grinder conversion making waves in the Amstrad scene (by none other than Axelay of Star Sabre, Dead On Time and Sub Hunter fame). Which of the two is better? 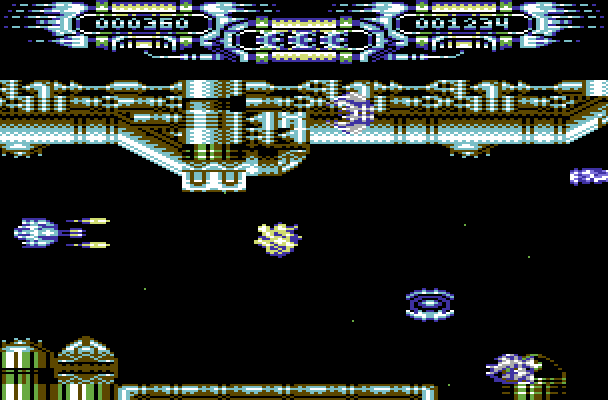 Well, that's a matter to discuss over on the Format War forums - and while you're there you might want to check out the progress on the GBA, SNES, Megadrive/Genesis, Atari 800, Atari 7800 and PC Engine versions of the game! 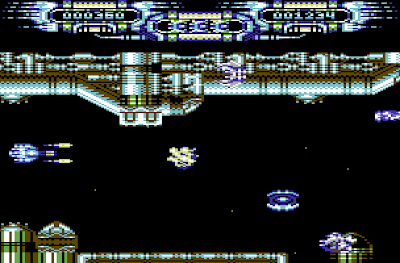 Download the C64 version here (from the Cosine website). Download the CPC version here (from the Format War collabortition page).